The site is connected by an underground walkway to Winnipeg’s City Hall and Administration Building, as well as the Manitoba Centennial Centre, east of Main Street. South is the Exchange District National Historic Site and Old Market Square. To the north is the Chinese Cultural Centre, the centrepiece of Chinatown. 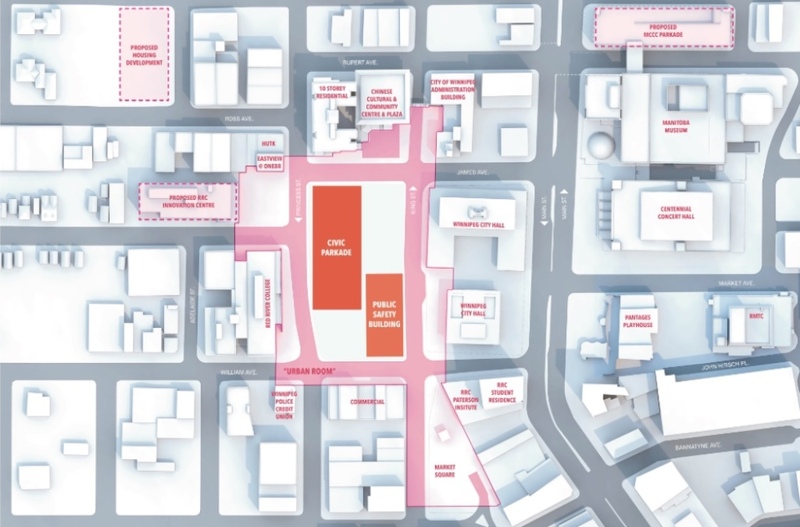 Red River College's downtown campus straddles the site with its Duff Roblin Building to west and its Patterson Global Foods Institute to the south/east. 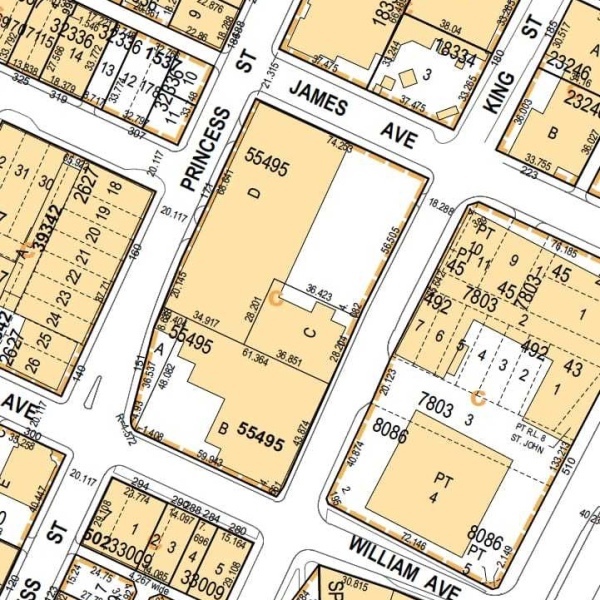 The southern eastern parcel (Parcel B) on the site is bound by a historic caveat with a reversionary interest, requiring the land to be used for public purposes and purposes of the City of Winnipeg corporation. Potential development ideas for this portion of the site will need to be reviewed for legal conformity to this caveat. Sale or development of the other parcels is not restricted beyond current zoning and other standard development regulations. New buildings within the Warehouse Character Sector may not be less than 25 feet (approximately 2 storeys), nor exceed 100 feet in height (approximately 8-10 storeys) without obtaining a Variance. Building setbacks in this Sector are not required – front and corner side yards can only be a maximum of 5 feet. However, residential uses in this Sector require minimum interior side and rear yards.